Friday the 13th is usually a day associated with superstition, and some people think its unlucky. 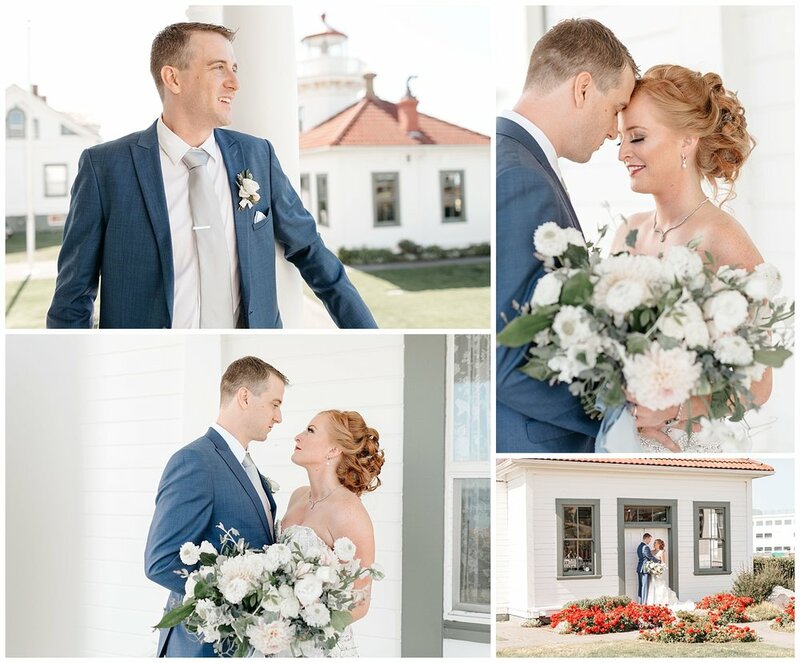 This gorgeous wedding in July was anything but unlucky. The weather was incredible, the venue was beautiful and Annalisa and Joe were surrounded by so much love and joy. 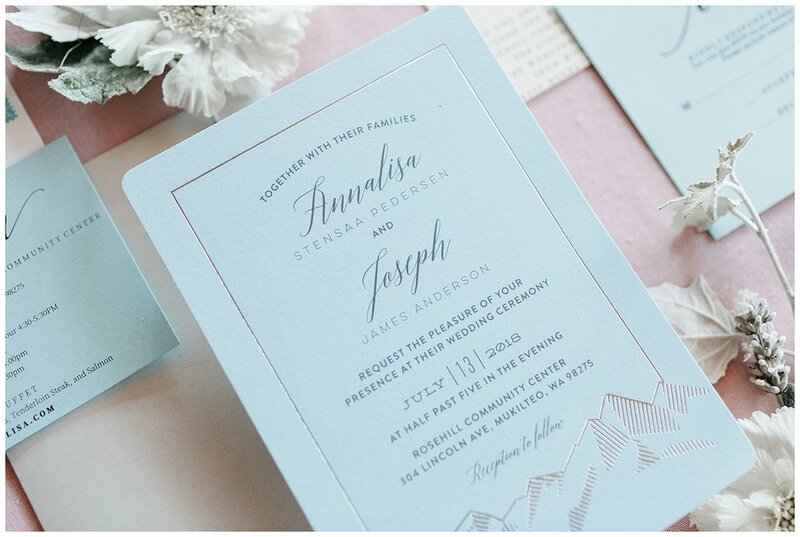 And what’s even more special…they included a gender reveal party as part of the reception! And of course it was all captured beautifully by Jonathan Gipaya. The floral color palette was built around cafe au lait dahlias, pulling tones of white and blush into each bouquet and floral centerpiece. 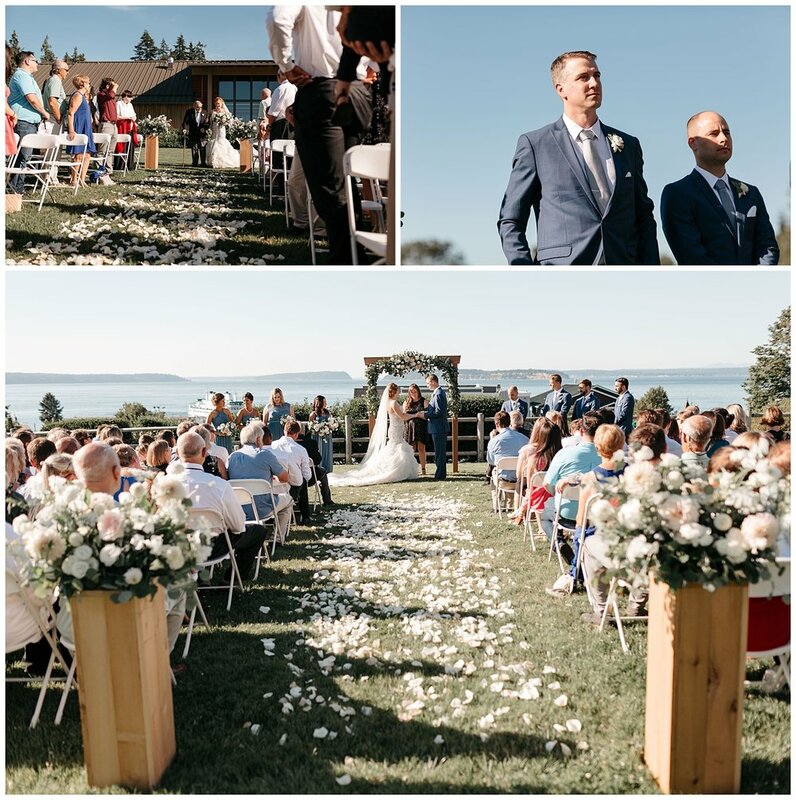 The ceremony took place in the garden at Rosehill Community Center, overlooking the town of Mukilteo and the sparkling water of the Puget Sound. 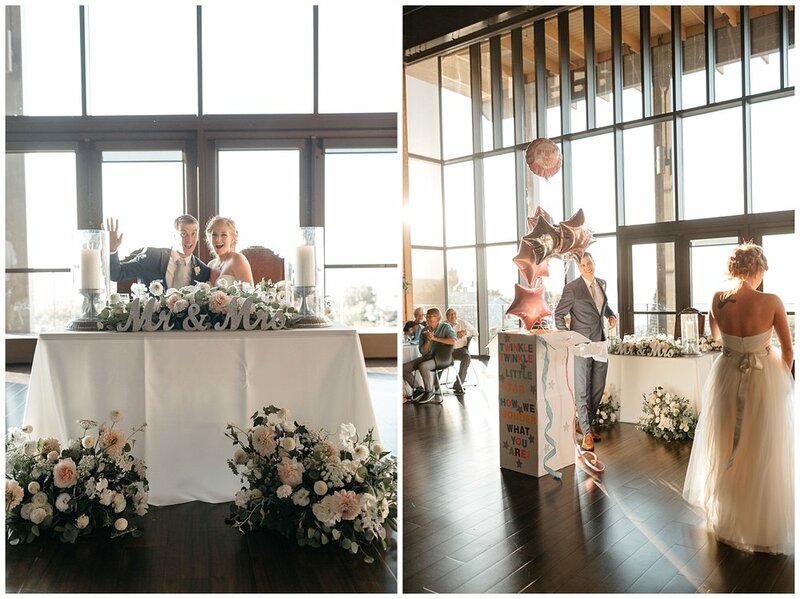 Inside the venue, the reception space featured tall centerpieces full of summer greenery which complimented the extra tall ceilings and brought the outdoors in. This wedding was all the things you imagine a summer wedding in the Pacific Northwest should be and I feel truly lucky to have been a part of it.